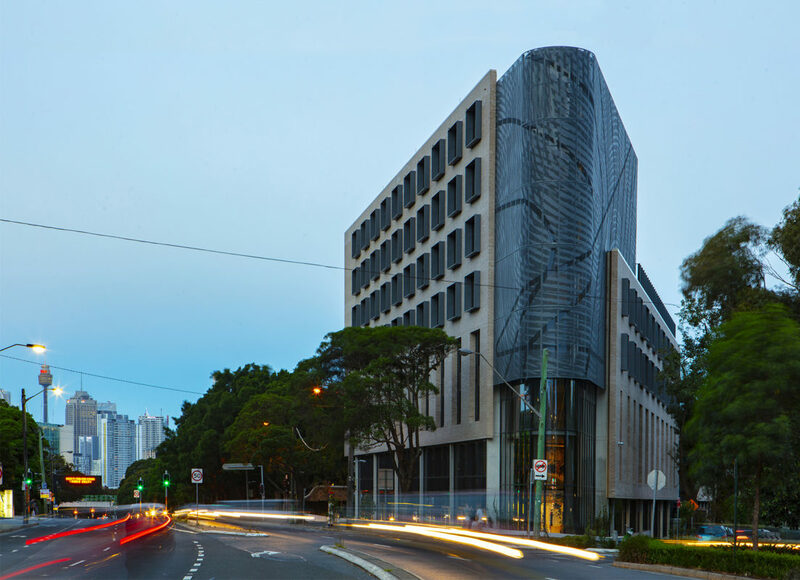 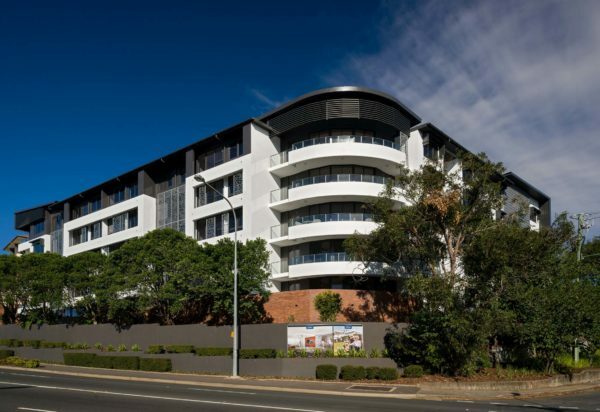 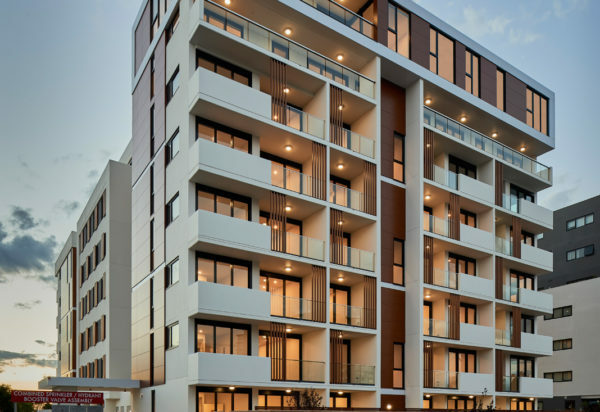 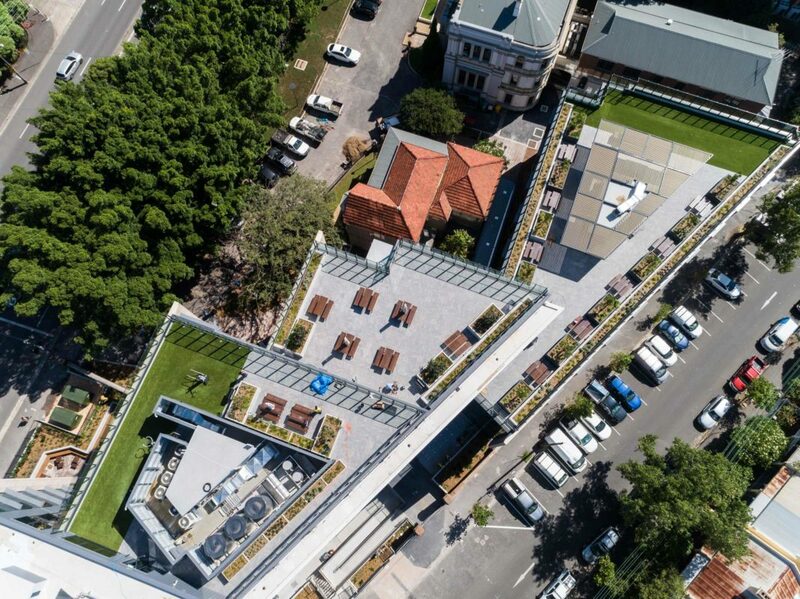 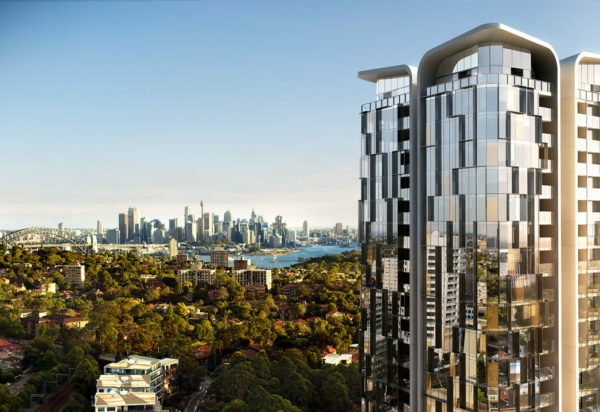 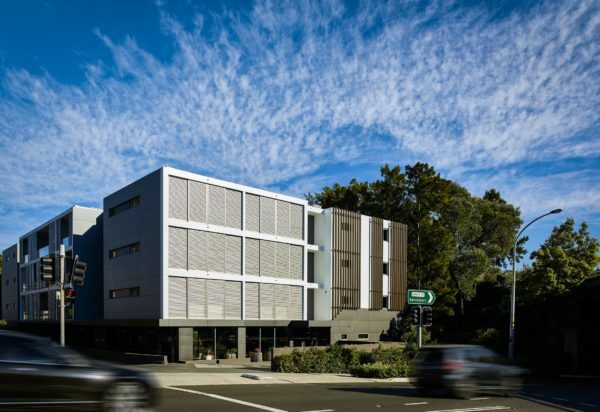 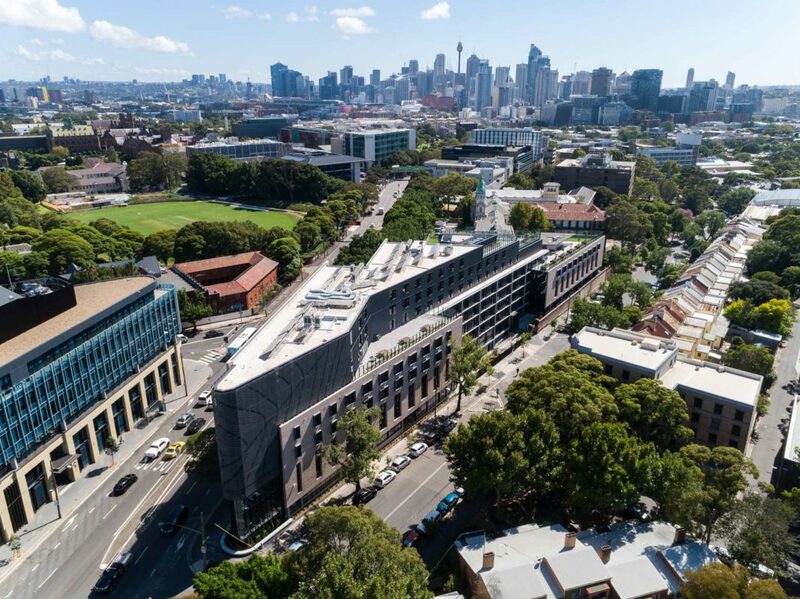 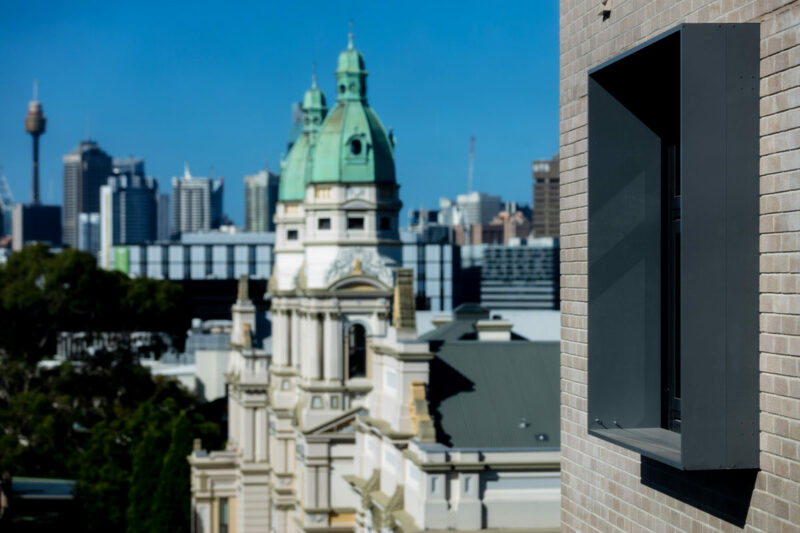 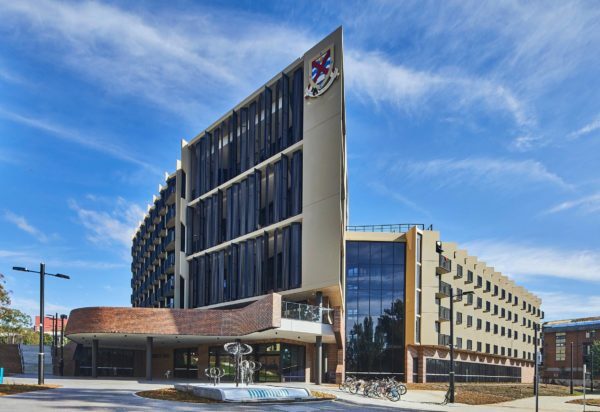 The Regiment Building is part of The University of Sydney’s plan to deliver world class affordable housing that is 25 per cent below local market rental. 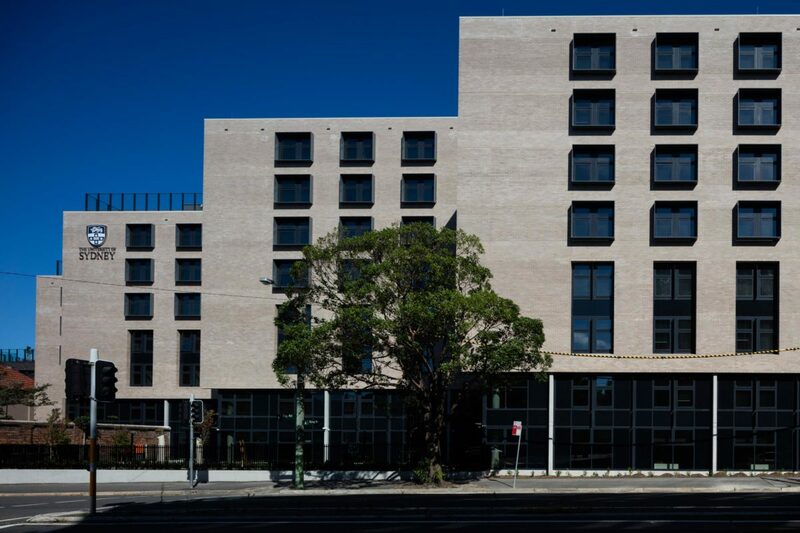 It encompasses student accommodation and teaching facilities located on the site of the former Regiment Building. 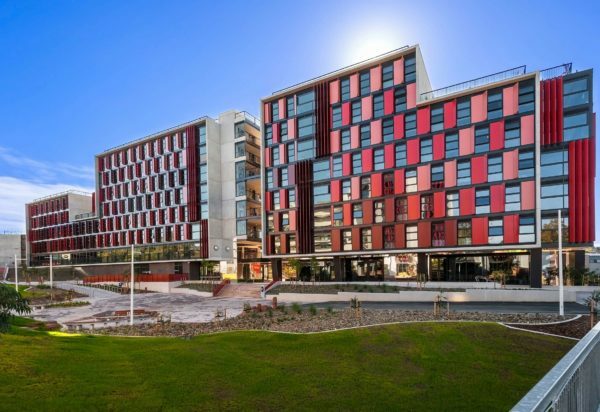 The concept is to create a holistic student campus living and learning experience and a gateway building to the University campus that fits seamlessly within the local and heritage context of the site. 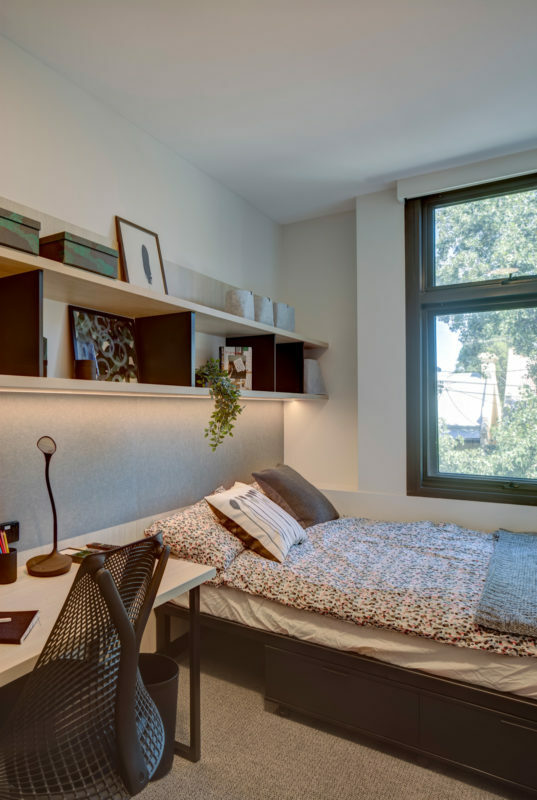 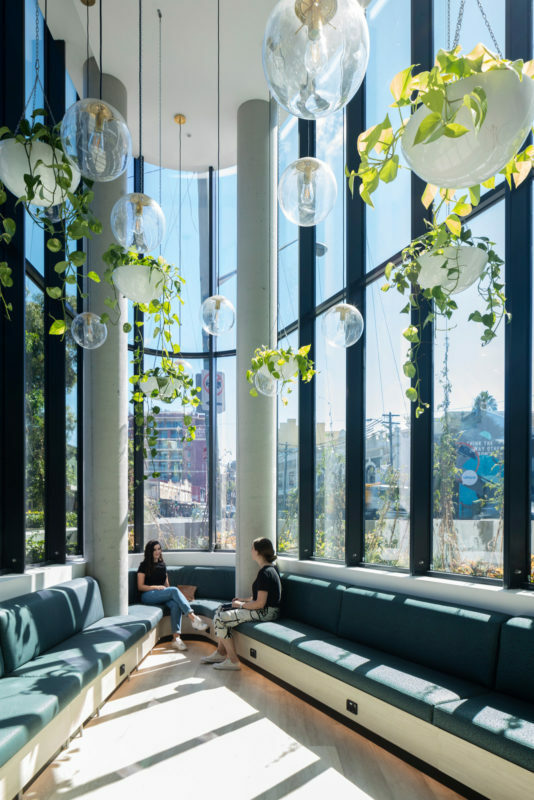 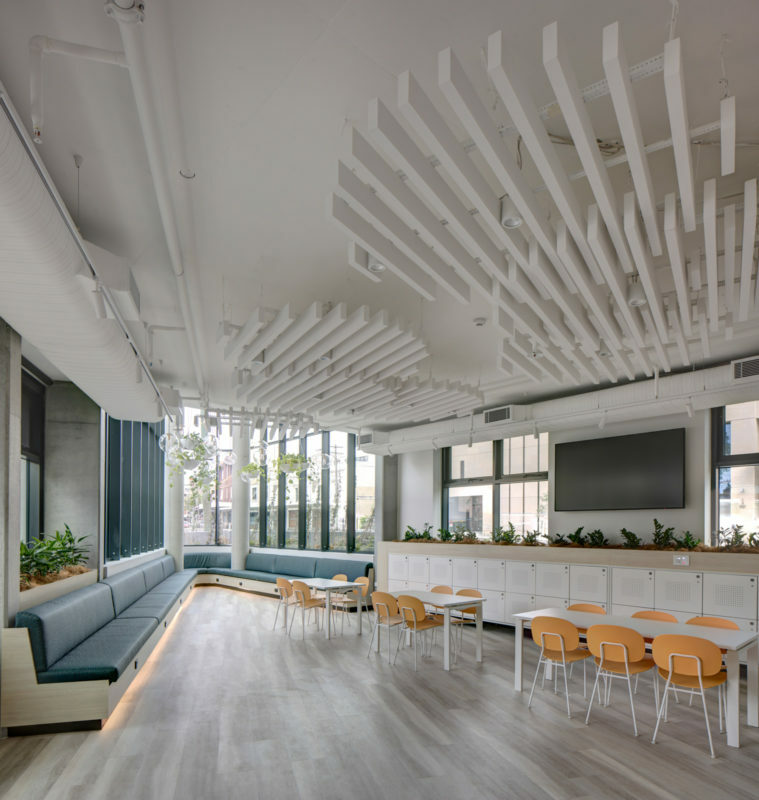 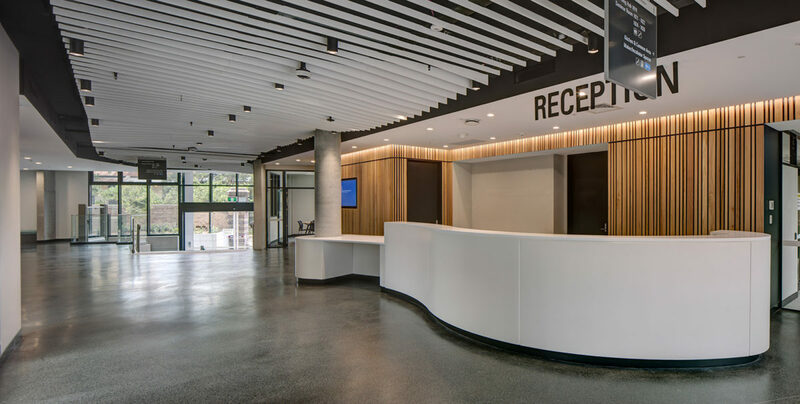 Rooms are highly efficient and functional, supplemented by learning hubs, a theatre, teaching rooms, maker and incubator spaces, shared bathrooms and a large communal self-catered kitchen that fosters gathering to enhance the well-being of students. 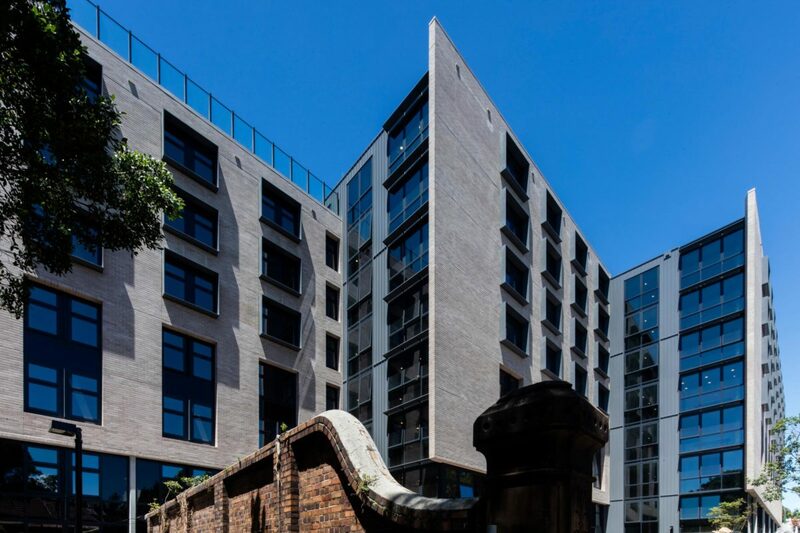 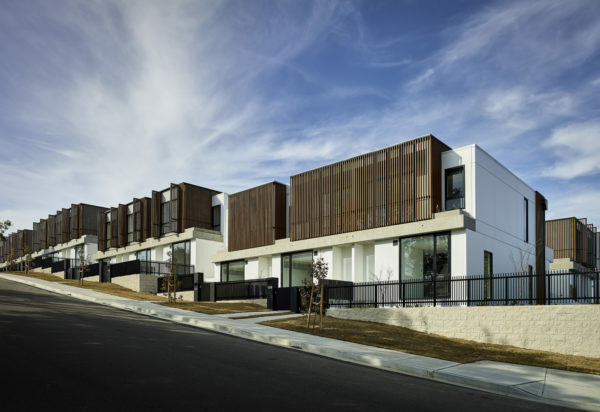 Located on a ridge that overlooks the city, the building is stepped in plan and terraced in response to the heritage and tree conditions of the site and terraced to capture city views. 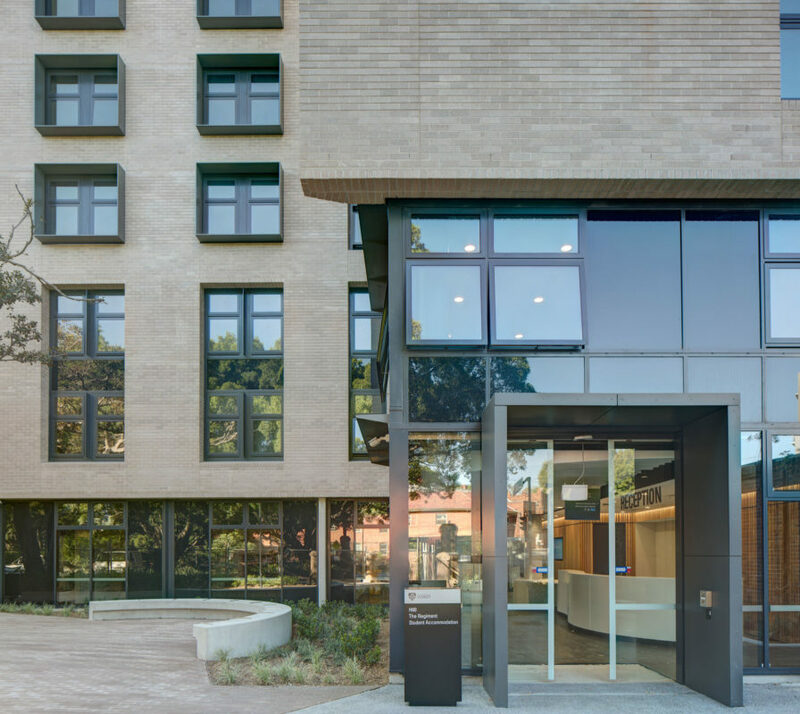 A landscaped entry and courtyard improves pedestrian accessibility through a public pathway that runs through the site. 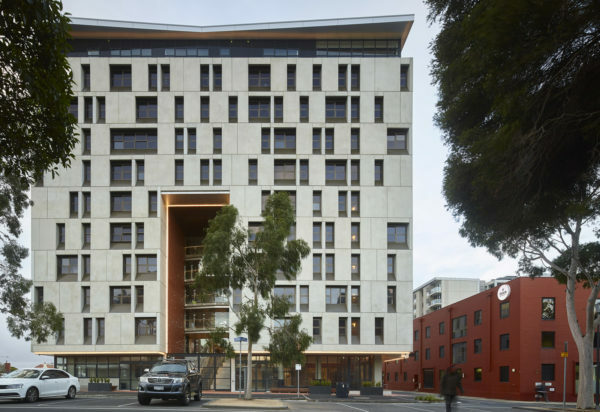 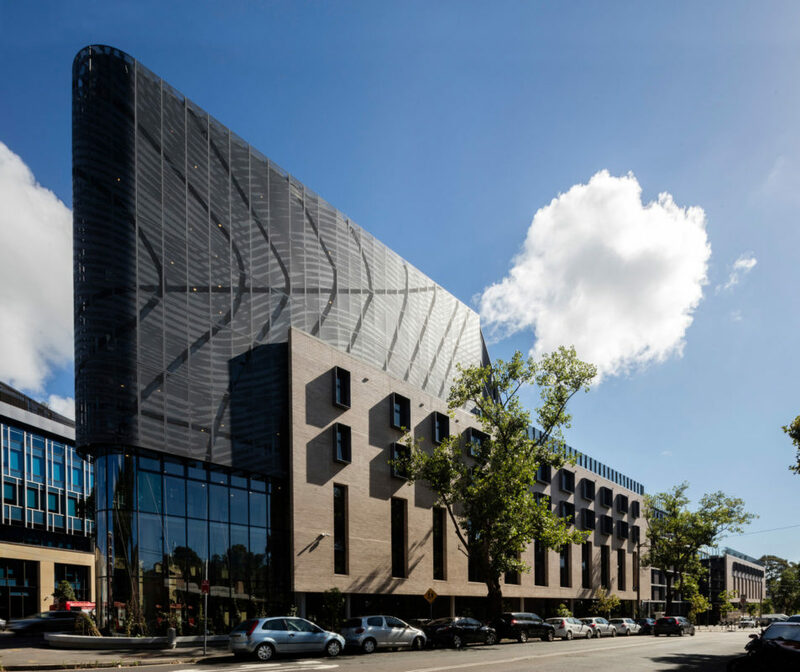 This project addresses an affordable housing vision and creates an environment of belonging, social integration, and engagement with study and broader life, all factors that help ensure students can thrive and have an exceptional University experience.